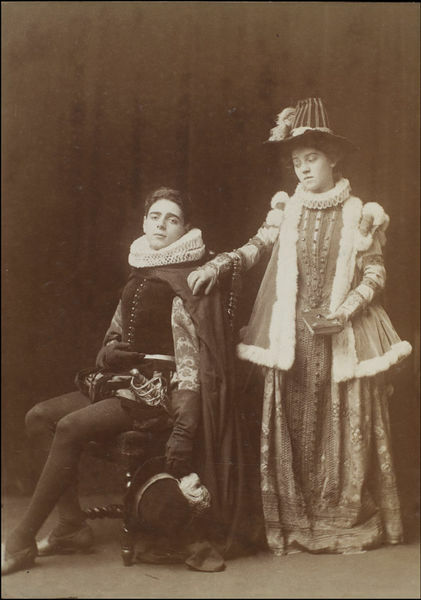 Photograph of Esmé Percy as Romeo and Dorothy Minto as Juliet in Romeo and Juliet, probably at the Royalty Theatre. 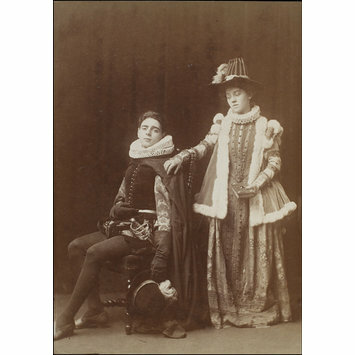 Sepia photograph of Esmé Percy as Romeo and Dorothy Minto as Juliet in Romeo and Juliet, probably at the Royalty Theatre. 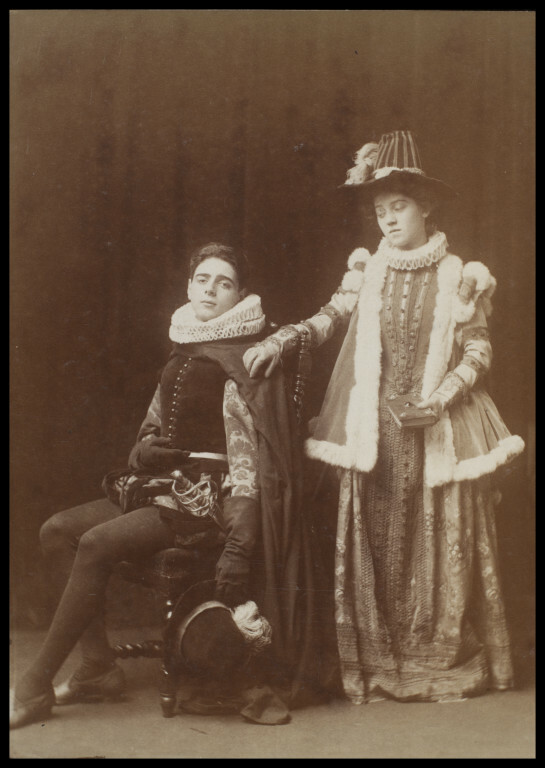 Photograph of Esmé Percy as Romeo and Dorothy Minto as Juliet in Romeo and Juliet in 1905, probably at the Royalty Theatre, Guy Little Collection.